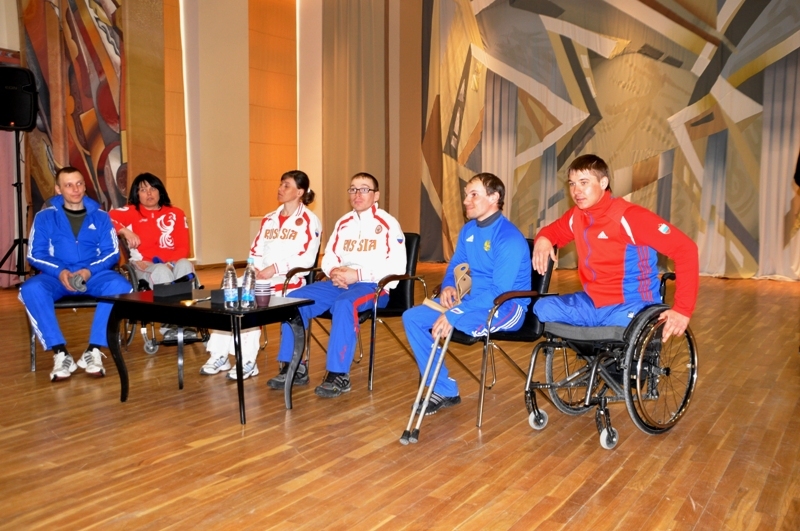 Nikolay Polukhin, Ivan Goncharov, Alexey Bychenok, Svetlana Yaroshevich, Nikolay Khlupenkov and Lubov Vasiljeva took part in the meeting with young athletes of Ugra. Each of them told about their success and shared how to find strength within oneself to move ahead despite all the obstacles. 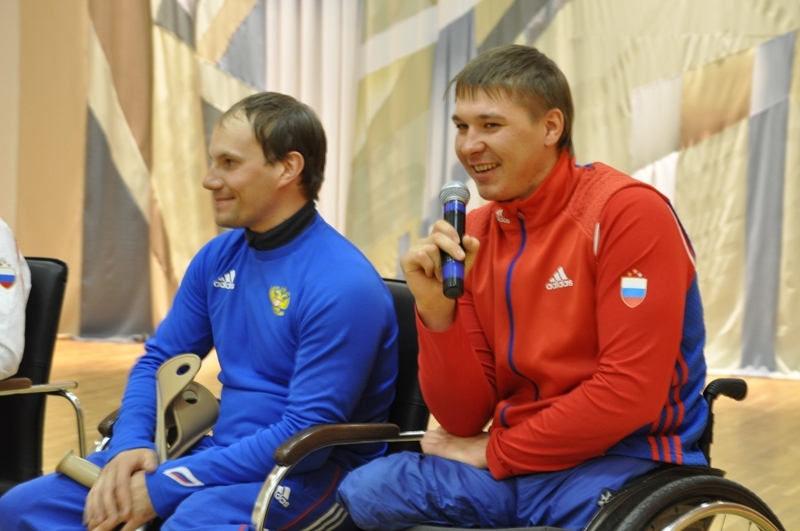 As the athletes admitted, it was very important to explain to the students that the human abilities are unlimited, one needs only to have a strong desire and to work hard. 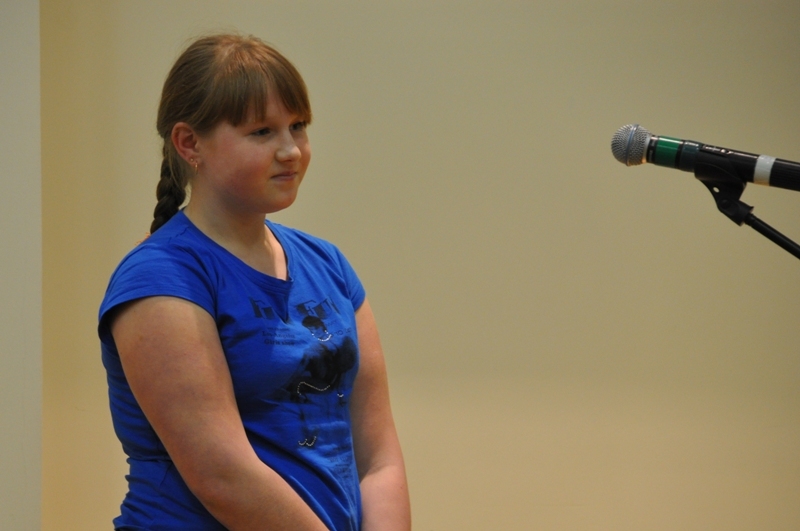 Young athletes were listening to the guests holding their breath, and they were asking the questions they were interested in. 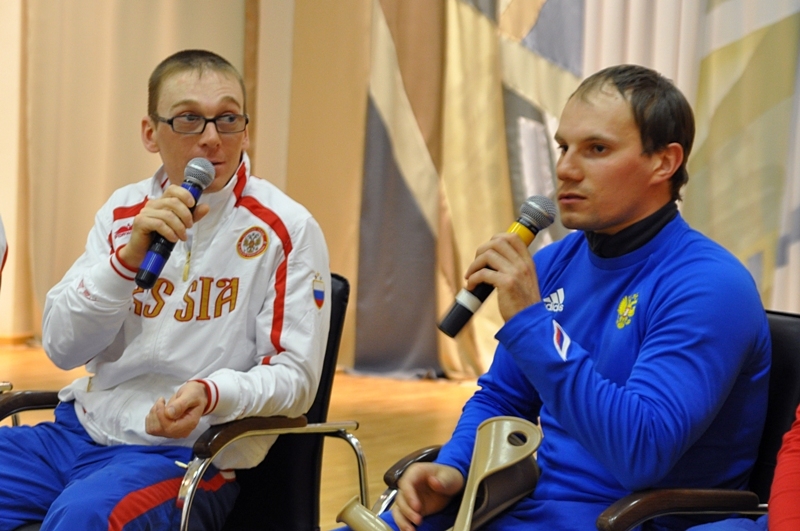 The national team members and the students understood each other very well; the athletes told about their life and joked a lot. 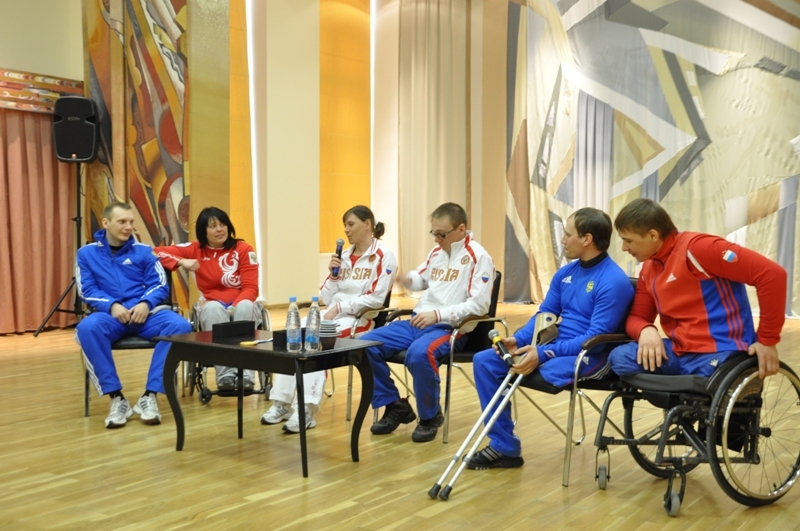 The guests paid attention to the high level of preparation for the World Championships in Khanty-Mansiysk. 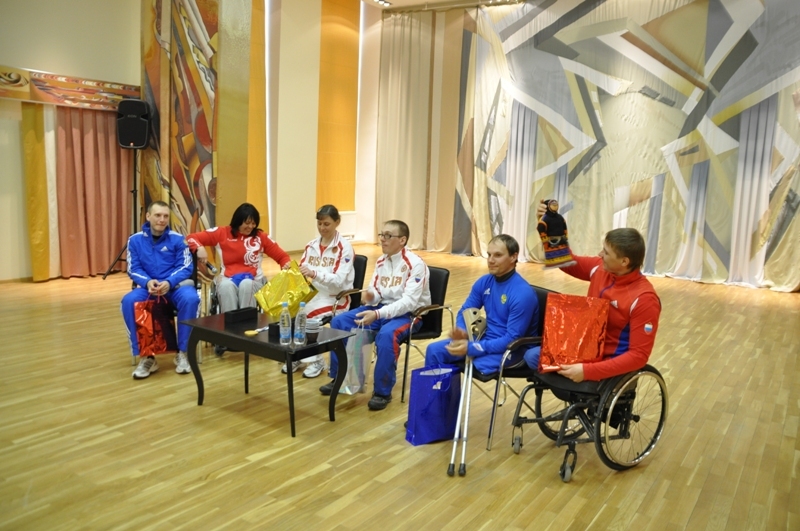 They appreciated the conditions of accommodation and of the competitions organization, and invited the students to support the Russian team during the tomorrow races. 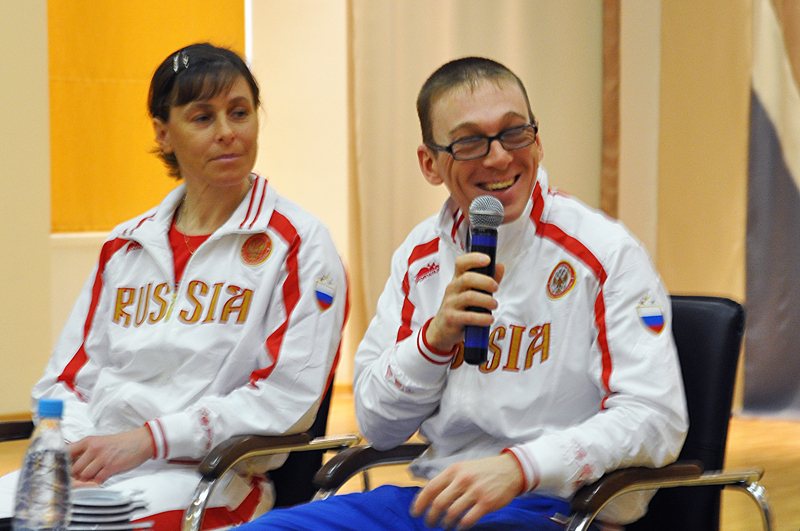 At the end of the meeting Svetlana Aleksandrova, the Sports School coach, noticed that it was very important for the youth; she also wished the Russian athletes further success. 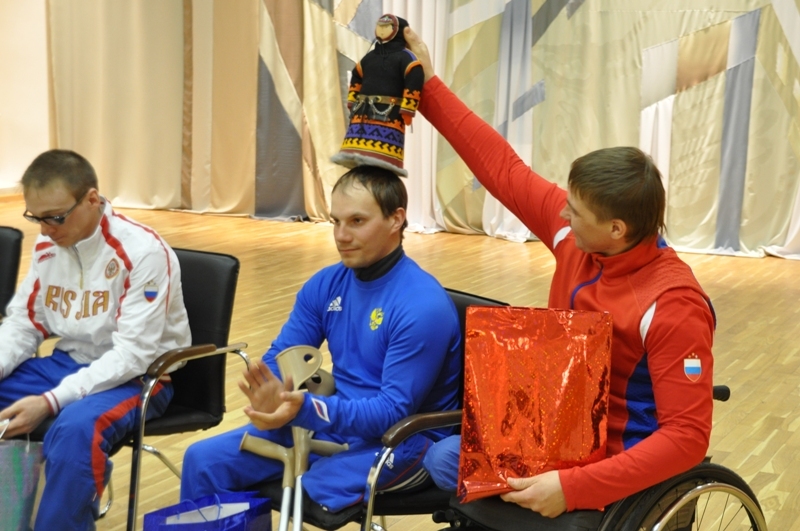 Then the students thanked the guests for an interesting conversation and gave them souvenir dolls as a present. «Today we realized how important it is to develop one’s abilities. 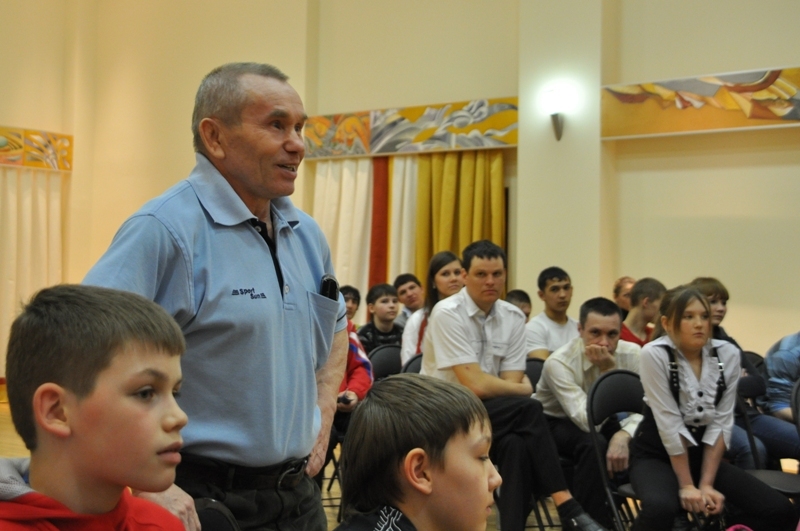 Giving examples from their life the guests explained how to succeed in sports despite the health problems. Each of them can be a great example of will power. 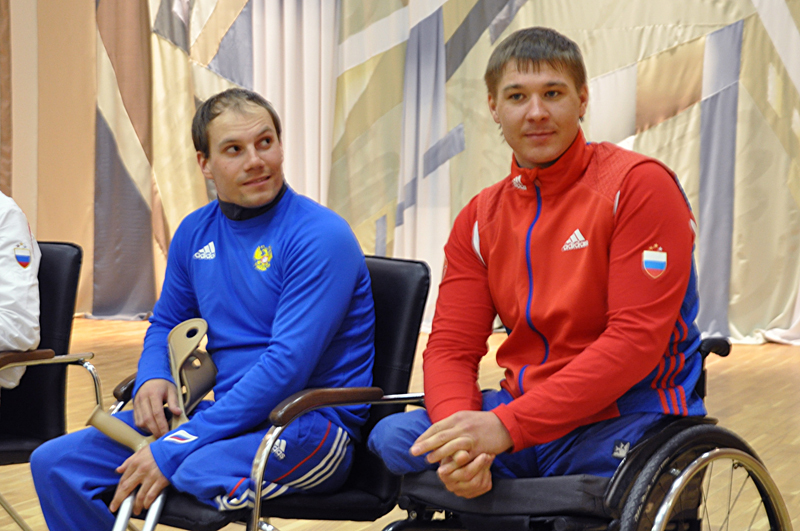 We would like to wish them strong health and further success in their favourite sport. It would be a pleasure for us to see them once again in Khanty-Mansiysk!» – shared her emotions Olya Leonova, the Sports School student.